Elizabeth is an active volunteer board member with a deep interest in the arts. She is thrilled to have been elected to the board of the Firehall Theatre Society. She has been on the board of the Eastside Culture Crawl since 2011 and served as Chair since 2012. Previously she has also served on such community arts boards as the Contemporary Arts Society of Vancouver, Associates of the Vancouver Art Gallery, the YVR Art Foundation and the Roundhouse Community Arts and Recreation Centre. She is retired from a career with the federal government. She has a BA from UBC and an MA from UofT. 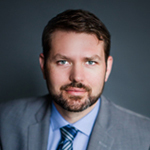 Jonathan is a Vancouver-based lawyer, practicing labour and employment law and general civil litigation. While a lawyer by trade, Jonathan comes to the Firehall as an avid fan of the theatre and a deep desire to be involved in it. This desire previously led to him working at Bard on the Beach, sitting on the Board of Horned Moon Productions, and launching a short-lived and entirely unspectacular career as a high school actor. Jonathan holds a Bachelor’s Degree and a Master’s Degree in sociology from the University of British Columbia, and a Bachelor of Laws from the University of Victoria. He also currently sits on the Board of PEDAL, a local cycling organization. 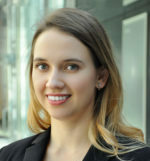 Irina Zyuzina is a CPA, CA with over 8 years of experience in accounting advisory, assurance, financial planning and process improvements. Throughout her career with Deloitte LLP, Irina served a wide range of businesses from multinational corporations to family-run businesses, NPOs and First Nation’s governments. Irina holds a Bachelor of Commerce Degree from the University of Calgary. Irina is passionate about social artistry and is a firm believer that art can change the world. Also, Irina particularly enjoys West coast visual arts. Irina is Russian-born and lived in four countries including her latest two-year adventure in Paris. Jessica offers 10 years of experience in client service, strategic planning and implementation in the communication industry, often working on complex projects with national and international stakeholders. She currently works as a Senior Director at leading global communications agency, Edelman. At Edelman, she has worked with international brands including Samsung, Telstra (Australian telco), Dubai Tourism, TELUS, Audi, and PayPal. Prior to joining Edelman, Jess worked at an award-winning independent Sydney agency where she executed special events, product launches, brand awareness programs, digital promotions and media relations campaigns for a diverse group of clients in the FMCG and travel sectors, including Air New Zealand and P&G. Jess is an Australian-citizen currently working in Vancouver. She studied communications majoring in Journalism at the University of Technology, Sydney.